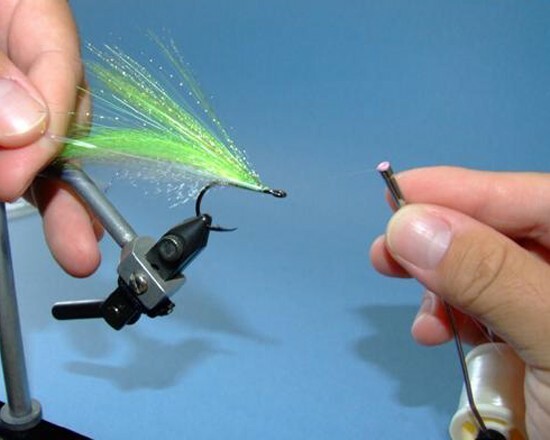 The Flash Fly is simple to tie and can be fished on a fly rod, whipped behind a bubble floater, or trolled behind a kayak. It is made of synthetic fibers and epoxy so it's very durable, even when toothy fish are your target. 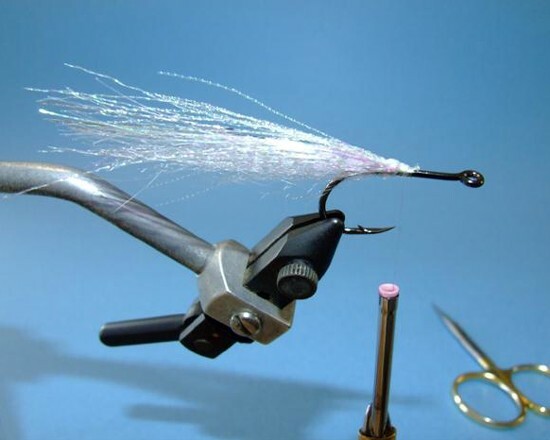 STEP 1 - Starting near the bend of the hook, tie white Super Hair to both the bottom and top of the hook shank. 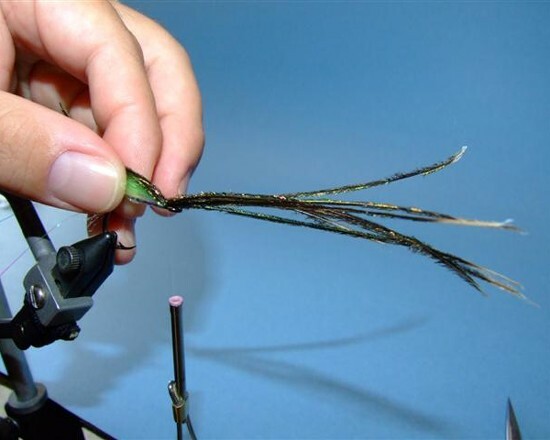 Use fine monofilament thread, which will disappear when the epoxy resin is added. Step 2 - Add pearl mylar flash material (Krystal Flash, Polar Flash, Flashabou, etc.) on top of the Super Hair. 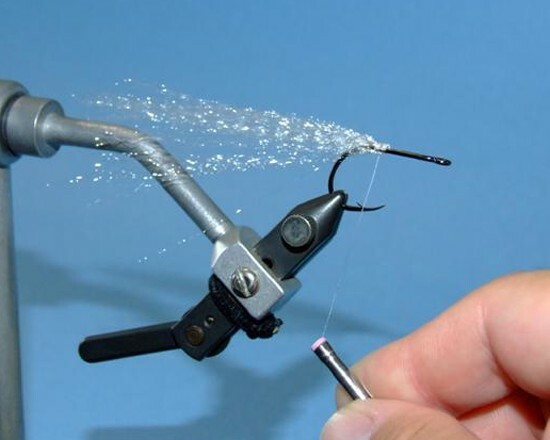 If the material is long enough, fold the material over the thread before lashing it to the hook. This prevents loose strands from pulling free. Step 3 - Add chartreuse Super Hair on top of the white/pearl base. At this point, alternating between chartreuse colored flash and solid colored materials like Super Hair, Fishair, Fluoro Fiber, etc. 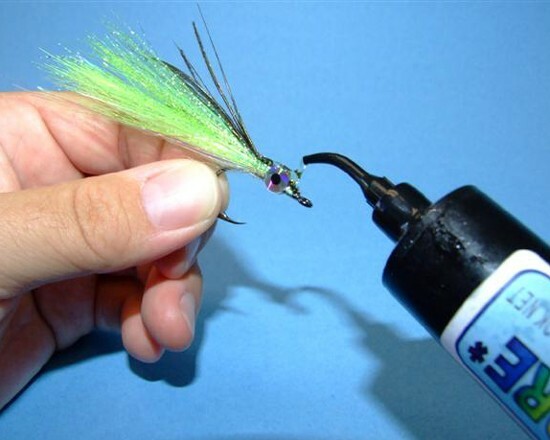 will add depth and complexity to the finished fly. Step 4 - After tying in all the colored material, add a few strands of pearl Flashabou to each side of the hook. 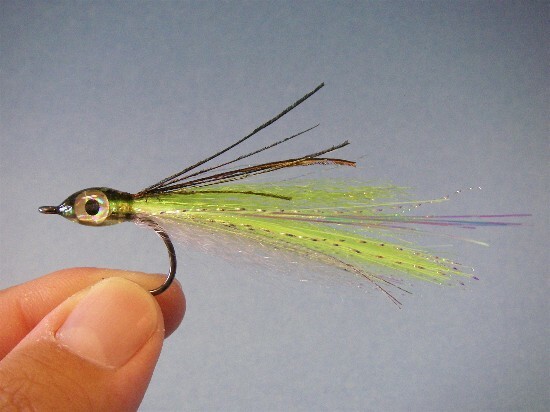 This will simulate the lateral line present on many baitfish. Step 5 - Tie a few strands of peacock herl to the very top of the fly. 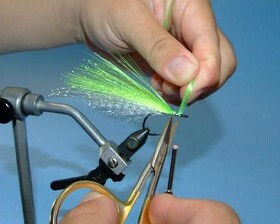 Step 6 - Finish the fly with a whip finish or several half hitches. 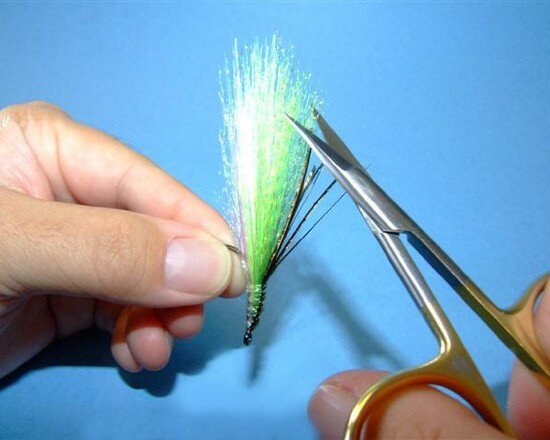 Step 7 - Trim to create an evenly tapered baitfish shape. Step 8 - Affix stick-on eyes to each side of the fly. 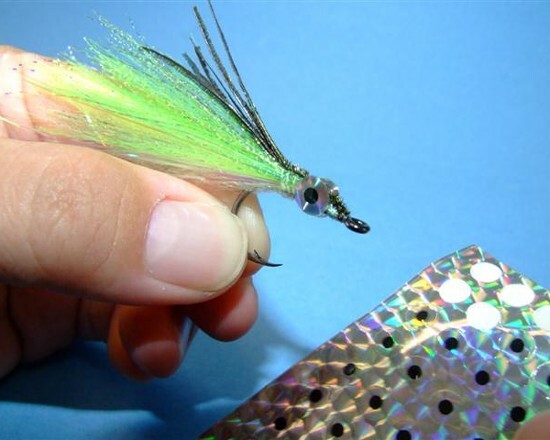 Many anglers like to use big flashy eyes to give predatory fish a target. Step 9 - Apply epoxy (or in this case Tuffleye resin) to the head of the fly. Coat liberally over the thread wraps and eyes. 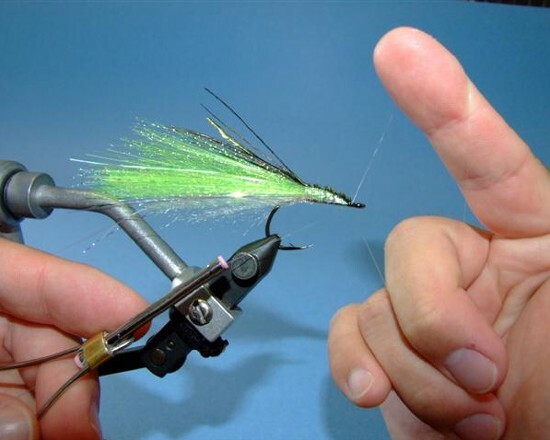 If using 5 minute epoxy, turn the fly a few times in your hand to prevent it from dripping or sagging. 30 minute epoxy will require a turner to cure properly. Tuffleye will require a strong UV light source to cure. 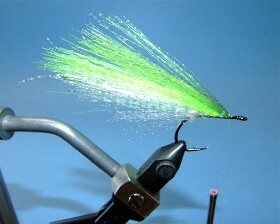 In this example I used one of our favorite papio colors, chartreuse green. You can easily change the color of the materials used to match your favorite fish catching lures. 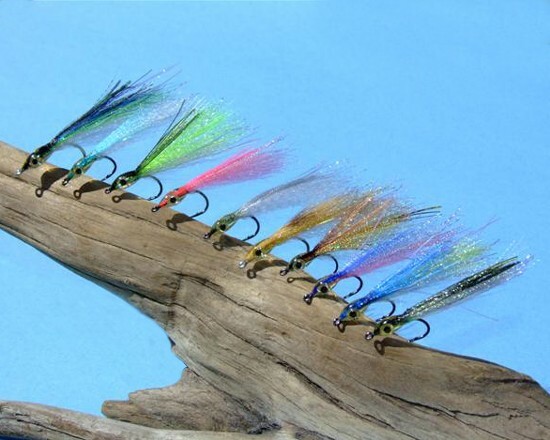 Mixing color combinations and experimenting are all part of the fun when tying your own flies!